Que Sera Alpacas: Blog: Alpaca Holiday Season is Upon Us! Just likes sheep’s wool, alpaca yarn is soft enough to be used for a baby blanket yet durable enough to hold up to those over-sized sweaters that are so popular. They also come in all ranges of different colors (so everyone can have their favorite color and personalized gifts)! But what about after winter when things heat up? Not to worry! Interestingly enough, alpaca wool will adapt to the temperature (making your favorite sweaters or blankets useful all year round!). Whether you are using an alpaca wool blanket on a chilly winter night, or as a stylish sweater on a breezy summer evening…alpacas have you covered! 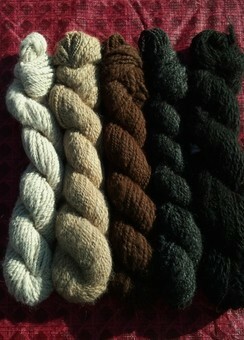 And with Holiday gift giving coming up, you’ll be able to use alpaca wool for a number of beautiful homemade gifts! Give your family the comfort of a knitted alpaca blanket, craft cute sweaters for your little one’s favorite teddy bear, and make chunky fashion statements for your teens! Alpaca wool will stand up to all your family festivities and make your Holiday season more beautiful than ever! Plus! We can help you with the material! Let’s make Que Sera Alpaca wool a must have this winter season (and all year)! Do you have any gift ideas that you can make with alpaca wool? We'd love to hear your ideas in the comments!